The mythical Golden Fleece is best known for featuring in the ancient legend of Greek hero Jason and his band of sailors, the Argonauts. Geologists have theorized from investigations that the Golden Fleece may have been more than a simple mythical plot device, and was instead a reality for the people of the Black Sea region. Evidence suggests that the quest for the Golden Fleece may have been based on an actual historical voyage to the ancient Colchis Kingdom. A field investigation study of the mythical ‘golden sands’ of Colchis published in Quaternary International theorizes that the story “took inspiration from an actual voyage sometime between 3,300 and 3,500 years ago”. In the myth of Jason, a tale that dates back to before the Greek Dark Ages (1100–800 BC), the son of Aeson, usurped king of Iolcos, commissions a ship built by Argus, the Argo, and gathers a group of heroes, the Argonauts (literally “Argo sailors”). They embark on a quest to find the fleece – the skin of a winged ram, a holy ram of Zeus, – so Jason might return his father to the throne of Thessaly, Greece. 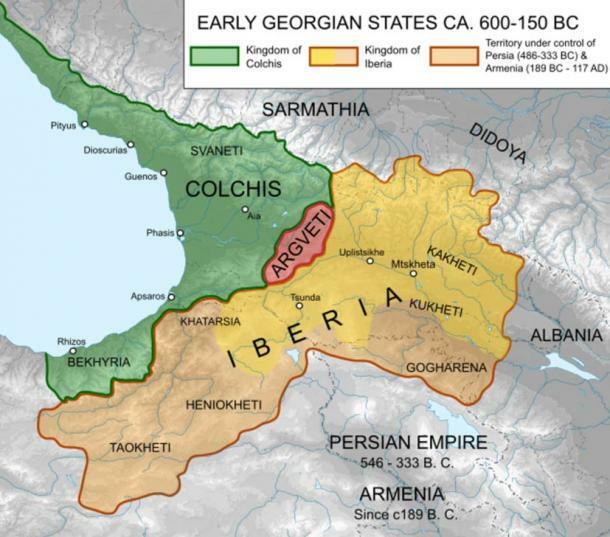 He sails to Colchis, (modern Georgia) on the eastern coast of the Black Sea, enduring many trials during the voyage there and back. There are many interpretations of the symbolism and meaning of the Golden Fleece, including it representing royal power, the flayed skin of a Titan, a book on alchemy, the forgiveness of god, a fabric woven from sea silk, and the wealth of Colchis. According to ScienceNews, geologist Avtandil Okrostsvaridze of Ilia State University in Tbilisi, Georgia, and his colleagues make connections between Jason’s purpose and destination, and the history of gold extraction in the area. In the Svaneti region, mountain streams contain small particles of gold and gold-specked stone which tumble through the water after eroding from rock formations. 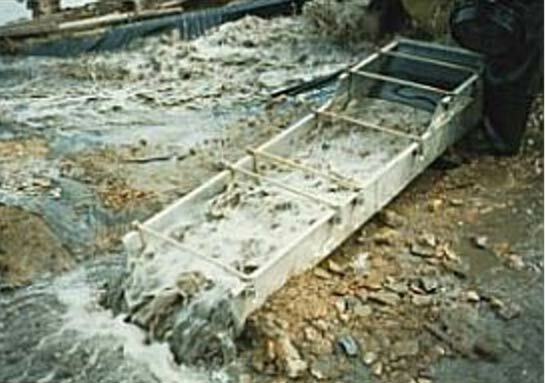 Locals traditionally immerse sheepskins in the streams to trap the metal, creating a fleece rich with gold. This technique has endured for thousands of years, suggesting to geologists and historians that the region is the same ancient Colchis Kingdom as referenced in the Golden Fleece myth. The researchers wonder if the story of Jason and the Argonauts may have been based on a real and ancient mission to learn the secrets of the technique of gold extraction, or to retrieve sheepskins glittering with flakes of gold. Most people believe that the story of Jason and the Argonauts is a work of fiction born out of the imagination of the ancient people. However, the word ‘myth’ originates from the Greek word mythos, meaning ‘word’ or ‘tale’ or ‘true narrative’, referring not only to the means by which it was transmitted but also to it being rooted in truth. Mythos was also closely related to the word myo, meaning ‘to teach’, or ‘to initiate into the mysteries’. According to MailOnline, golden artifacts found in the villages around Svaneti may be evidence that ancient villagers had sophisticated mining and crafting skills for the time. A lion sculpture of gold which dates back to second millennium B.C highlights the possibility. 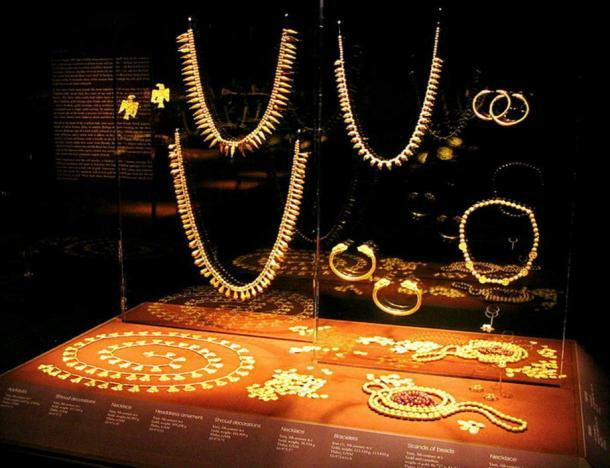 Dr. Okrostsvaridze says, “This shows that gold mining and its artistic processing was at a very high level, very early in the history of the old Georgian kingdoms. Our work shows that the gold content in the rivers sands of this region are sufficiently large to give grounds for the creation of legends,” writes MailOnline. Dr. Okrostsvaridze writes in the abstract of the study featured on ResearchGate, “We think, from our investigations, that the bedrock and placer gold contents of this region give grounds to believe that there was enough gold in this region to describe Svaneti as “the country rich of this noble metal”. After comparing the geological data, artifacts, myths and historical sources, we share the viewpoint of the Roman historian Apian Alexandrine (90–170 AD) and suppose that the myth about expedition of Argonauts in quest of the “Golden Fleece” to the Colchis Kingdom was a real event and that the main purpose of this mission was to obtain gold and sheepskin (fleece) technique of gold mining. Ultimately, though retrieving the Golden Fleece returned Jason’s father to the throne, it didn’t seem to bring Jason continued good fortune. 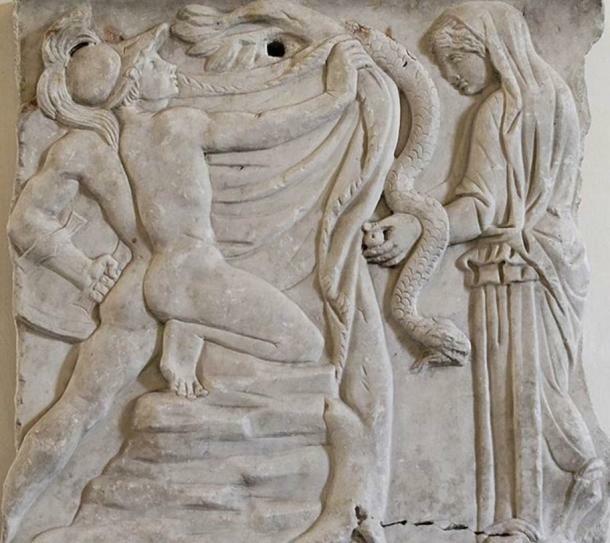 According to myth, the hero eventually betrays his wife Medea, resulting in the slaying of his sons, and he falls out of favor with goddess Hera dying lonely and unhappy. In the end he is crushed by his ship Argo while napping under it. Nevertheless, the Golden Fleece stands in legend as a symbol of authority, kingship, wealth and high station, to this very day.